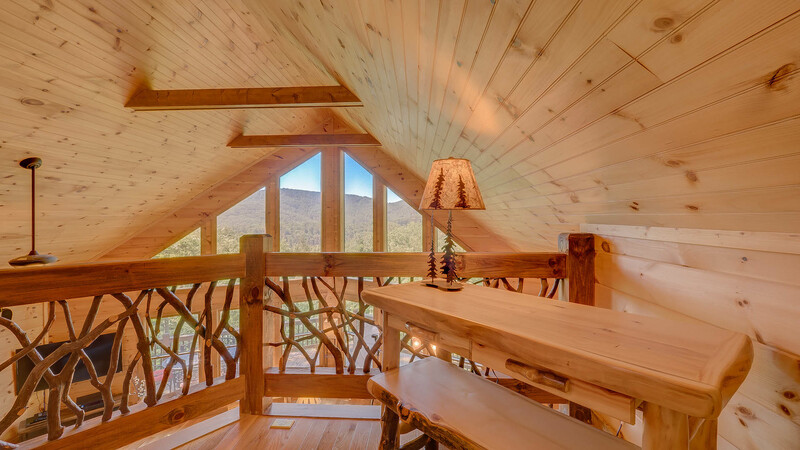 Dreaming of the perfect cabin for a mountain getaway? 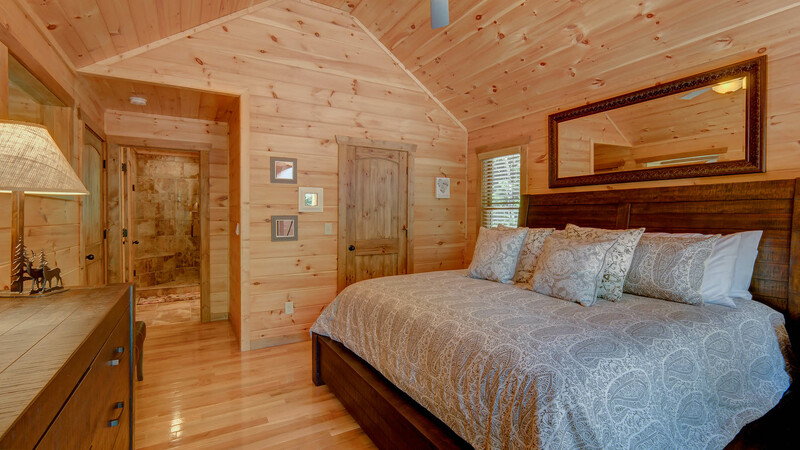 Mountain Dream Lodge is the property you've been searching for! 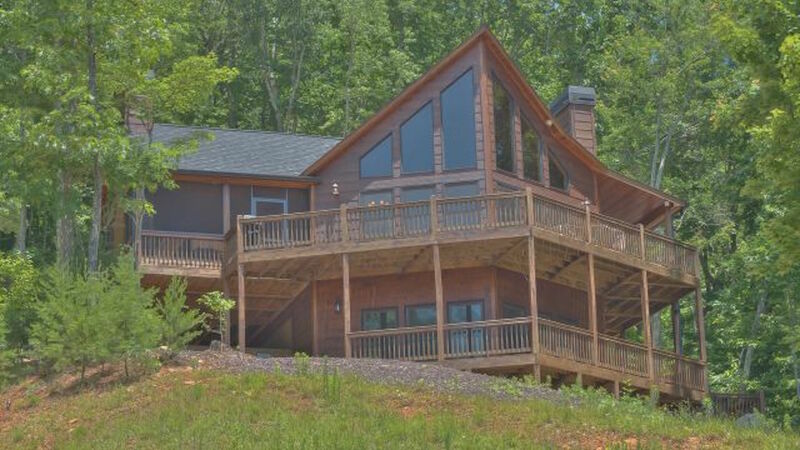 All paved roads, outdoor fireplace, sought-after prowl front great room facing the mountains, all king beds...All within a 10-minute drive of Downtown Blue Ridge! 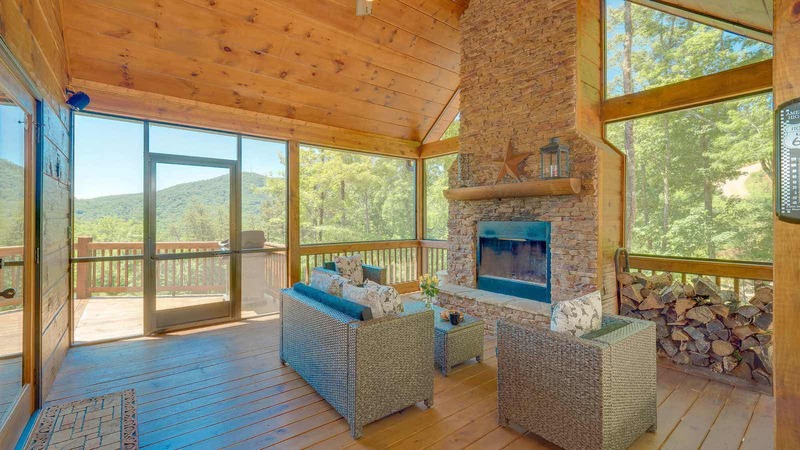 Enter through the partial screened deck, which houses the beautiful outdoor wood burning fireplace and lovely outdoor seating. 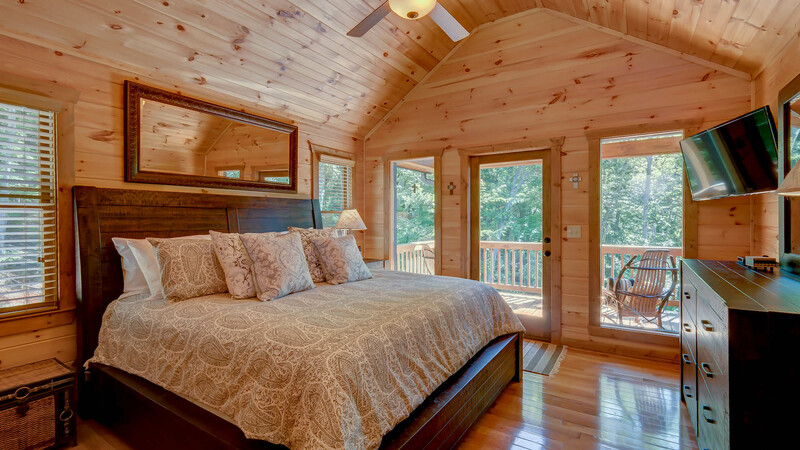 Imagine spending nights here, talking and laughing with friends and family while the fire crackles gently in the background. 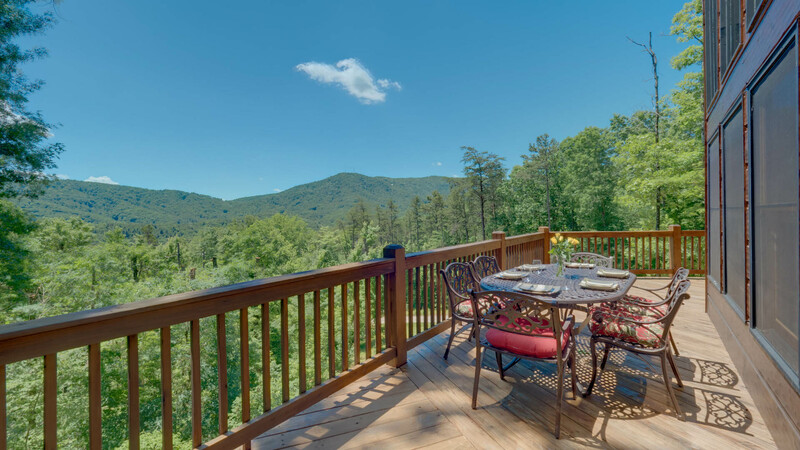 Just around the corner the deck opens up and boasts an iron outdoor dining table with seating for 6 guests and the deck finishes with a cozy porch swing facing the mountainside. 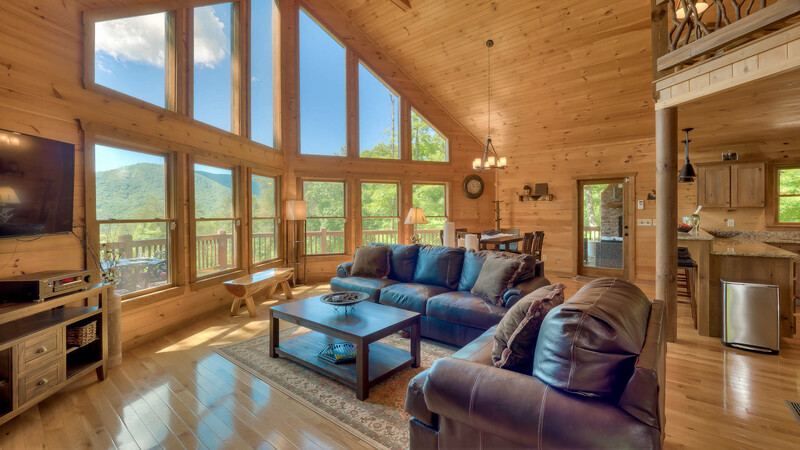 Inside the main level you'll find large windows for perfect mountain views, a stone gas log fireplace, comfy sofa seating, granite counter top large kitchen with stools, and of course a dining table for 6 guests. 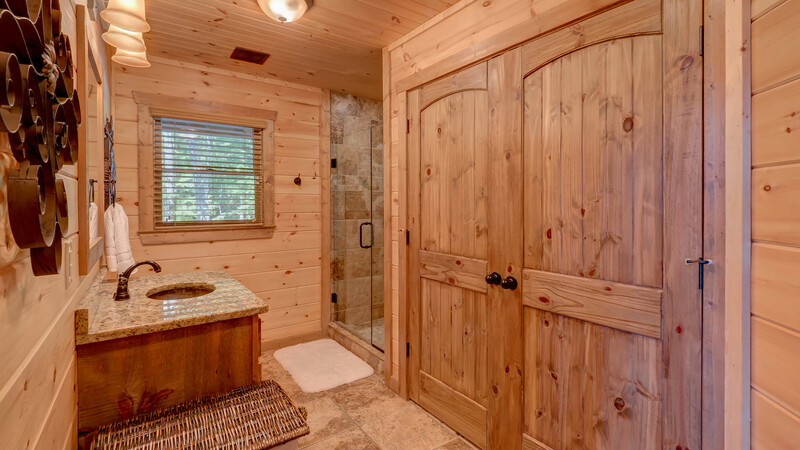 Just off the kitchen is the main level bathroom and bedroom. 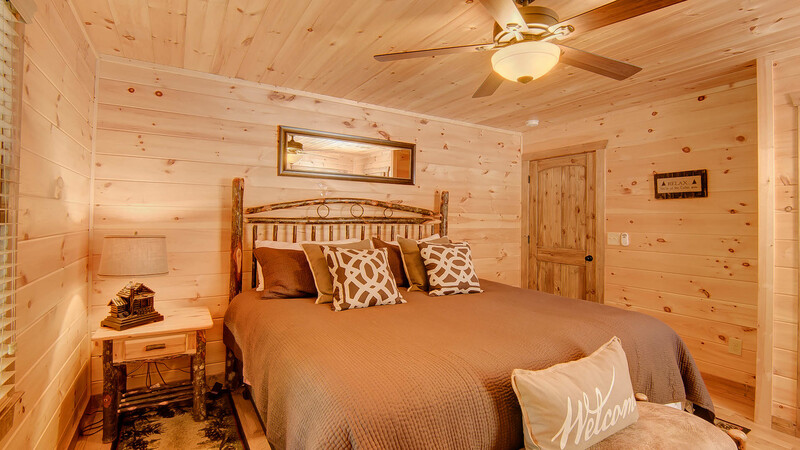 This bedroom has a king size log bed and the bathroom has a beautiful tile shower, along with a granite counter top copper sink single vanity. 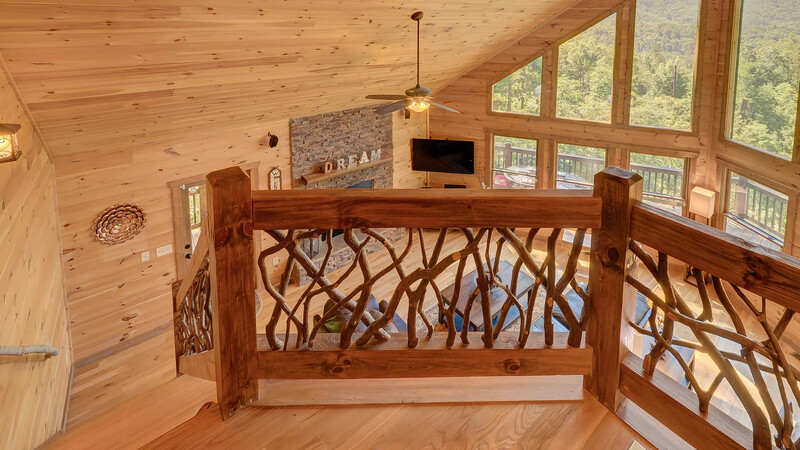 Up the unique reclaimed mountain laurel staircase is the open reading loft and the master suite! 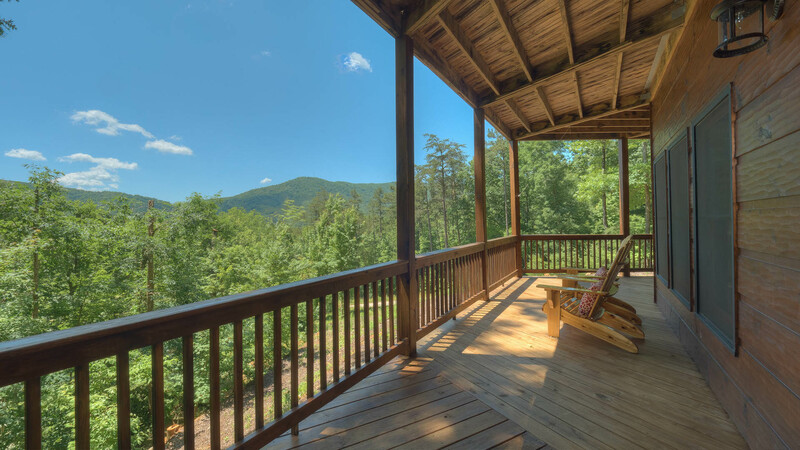 The master has its own private balcony, perfect for two to steal away and enjoy their own view of the mountainside. 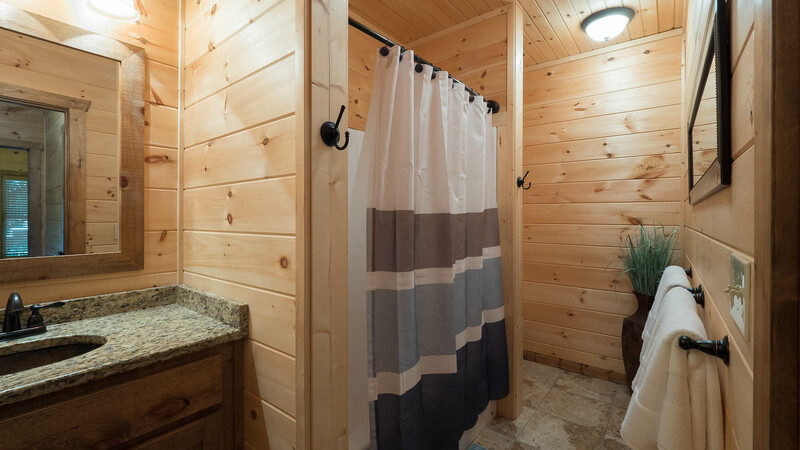 You will also find a large bathroom, which has a tile shower, garden tub, and granite counter topped double copper sink vanity. 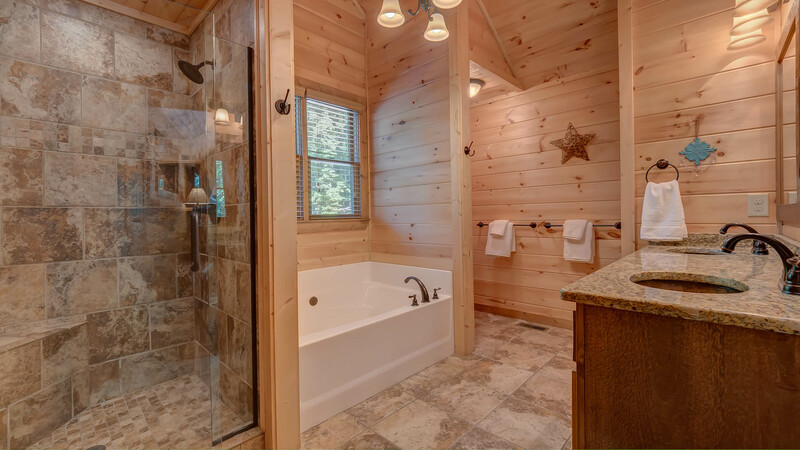 This beautiful bathroom will definitely spoil you! 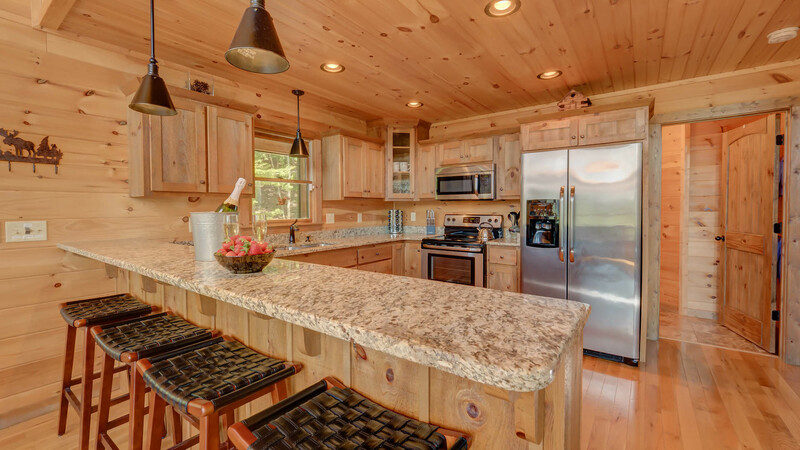 Down to game room level for entertaining! 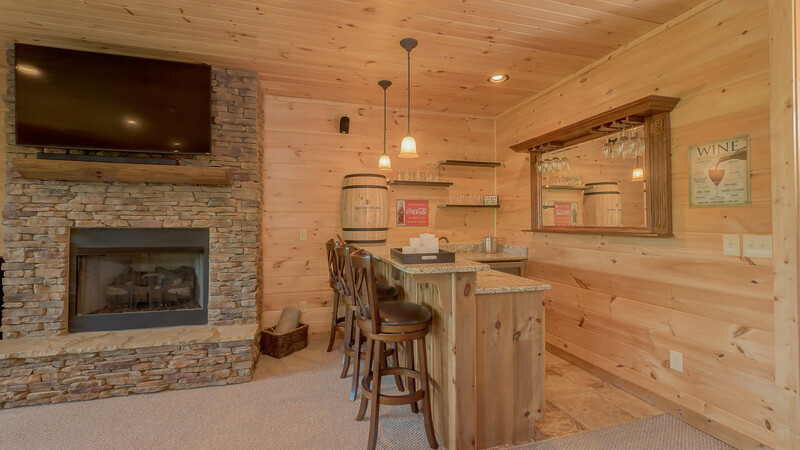 This finished basement level has the 3rd bedroom, a full bathroom, 2nd stone gas log fire place, foosball, pub table, and lux wet bar! 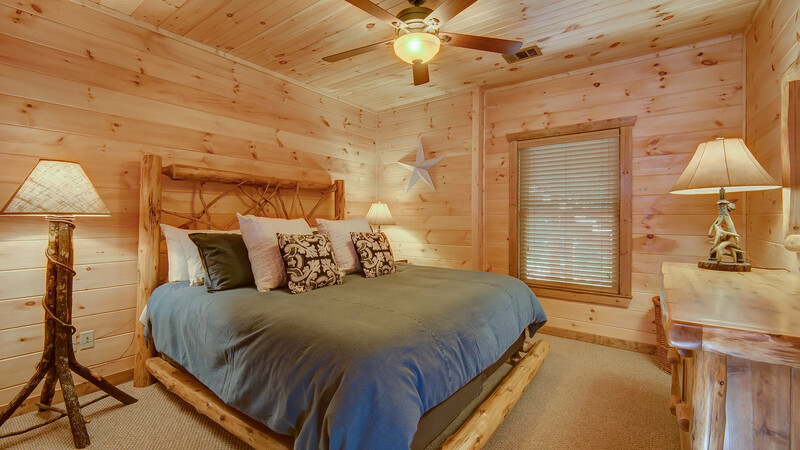 The bedroom offers a king size bed and the bathroom has a standard tub/shower combo and a granite counter top copper sink single vanity. 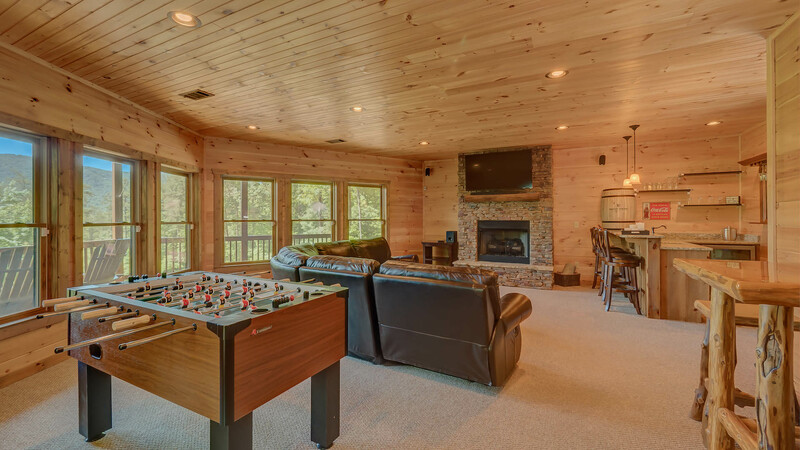 The living space combines entertainment and relaxation: a gas log fireplace topped with a flat panel TV, a wet bar for serving up your signature cocktail, a foosball table, a pub table and of course cozy seating around the fireplace. Just outside the game room living space is the bubbling hot tub! 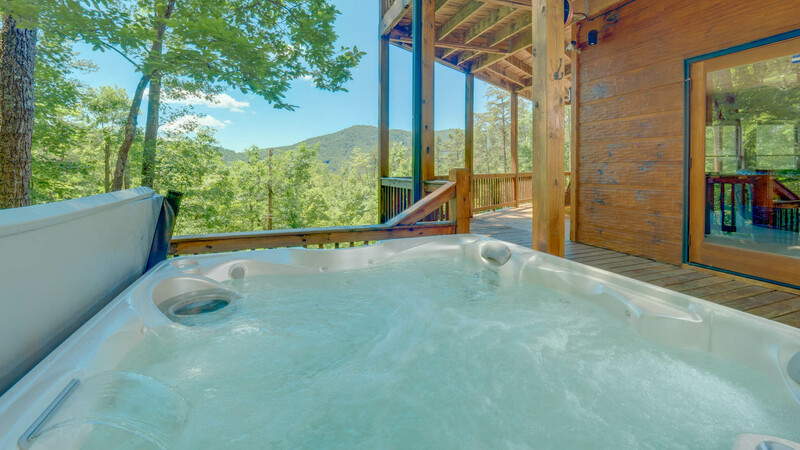 Here you can soak away your cares and finally get that relaxation you have been dying for. 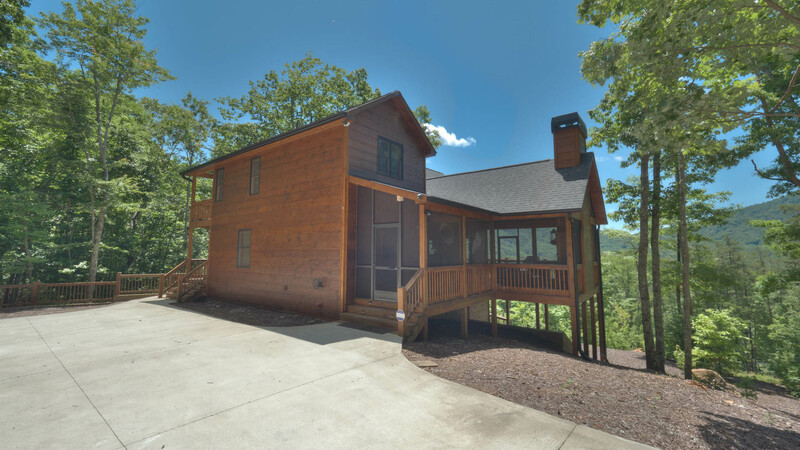 Mountain Dream Lodge is located in the Aska Adventure Area so you will be minutes from the Toccoa River, Toccoa Riverside Restaurant, hiking and waterfall trails, tubing on the Toccoa River, and of course fishing on the Toccoa! 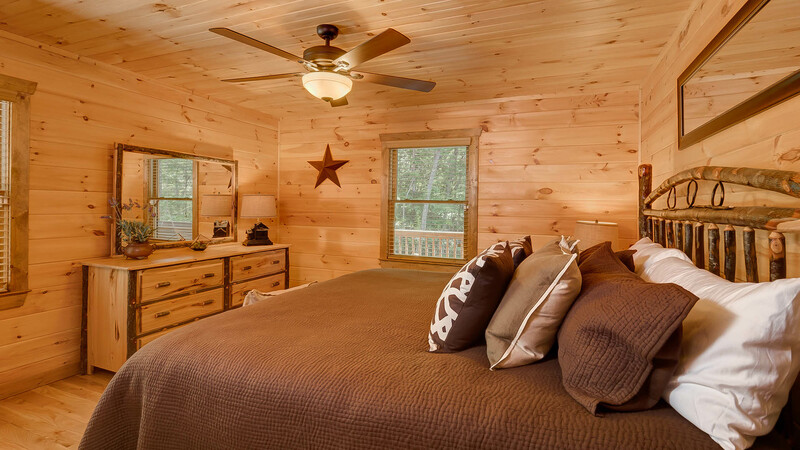 With all these amenities and ideal location, Mountain Dream Lodge is THE property you have been dreaming about! Please note: Fireplaces are available for use from October 1st to April 30th. Outdoor WOOD BURNING fireplaces may be used year round, however MTCR does not provide firewood outside of the season, Oct 1 – April 30. Firepits are also available year round but firewood is not provided in firepits. Outdoor gas log fireplaces may not be used out of season.